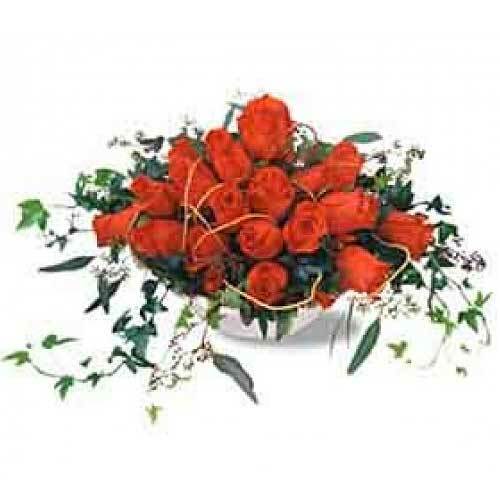 A beautiful arrangement of roses and greens. 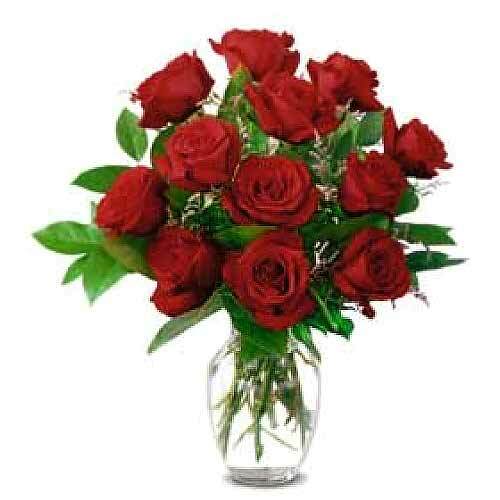 An orchestra of 19 fabulous roses. 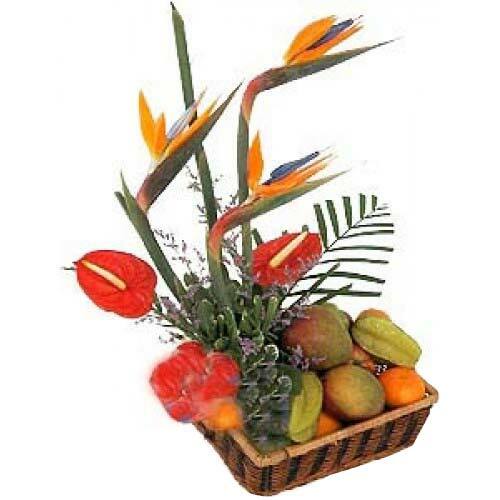 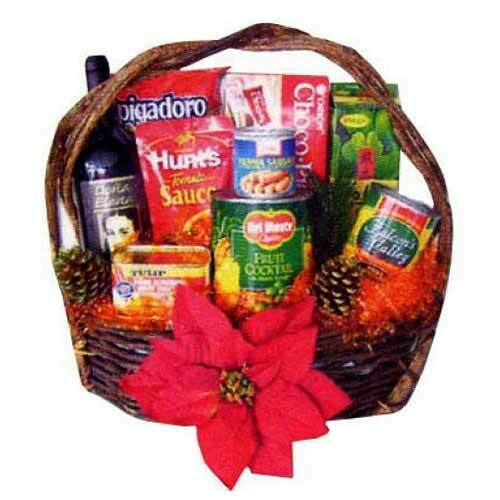 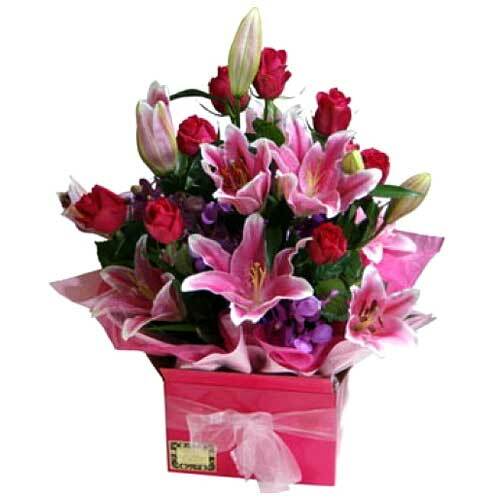 Fresh Mixed Cut Flowers Arrangement Contains Stargazer and 1 Dozen Red Roses in Basket. 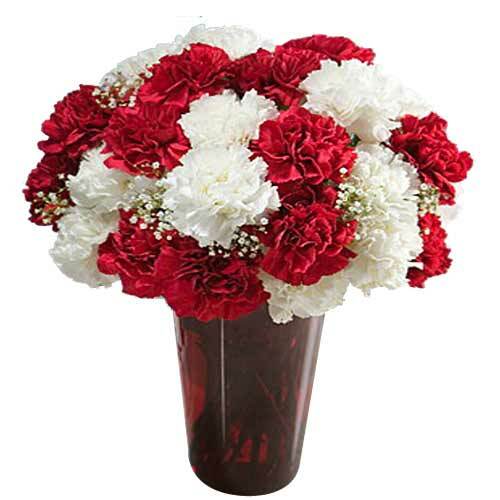 2 Dozen Mixed White & Red Carnations in a Vase.